We have selected a number of products we like and which your bulldog will hopefully like as well. We hope you'll enjoy visiting this page ! 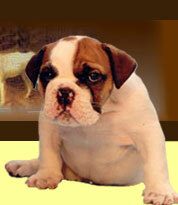 Bulldogs are real 'companion' dogs and require lots of attention from their owner. When left alone, they can be very destructive. They may keep the chewing habit they display as a puppy throughout their lifetime. This chewing habit is even more pronounced when they are bored or left alone. In order to keep your bulldog happy, avoid boredom and seperation anxiety, redirect his chewing on 'harmless' objects. 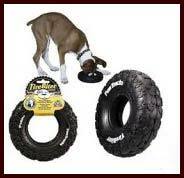 We have selected a number of products we like: toys to keep your bulldog busy when you are away. A safe and non-toxic toy made of a combination of soft natural rubber, nylon fibers and cotton rope removes plaque and tartar buildup. The hole in the middle fits right for an extra large Kong or a large Hurley bone that can be filled with treats. Your dog will then get quite occupied trying to get his other toy out of the hole. A patented interactive dog toy. 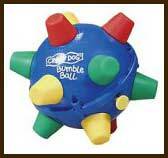 Jumps, shakes, wiggles, and bumbles, while dogs try to catch this unpredictable toy. 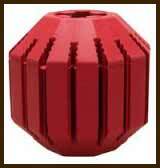 nontoxic, nonabrasive, nonsplintering and does not get sharp when chewed. 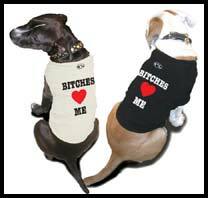 Designed to reduce boredom destructive behavior and separation anxiety. Just put some treats or food inside the ball and your dog will spend hours trying to get it. Durable non-toxic natural rubber with ridges which clean teeth and conditions gums. to protect your bulldog's eyes ! Large fits 16" to 20"
Large fits 26"-35" Girth, 40-70 Lbs. 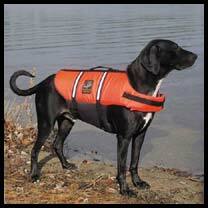 Floatation device designed to keep dogs safe in and around water, while allowing for maximum comfort.